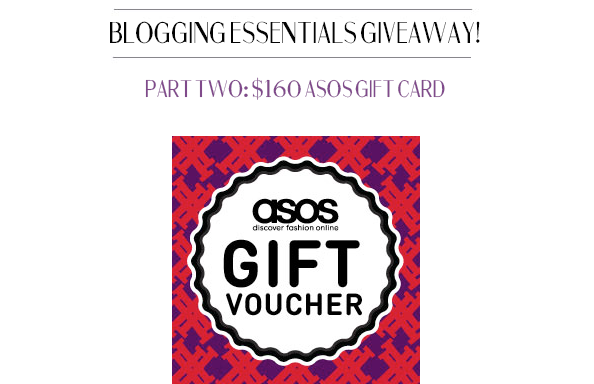 Blogging Essentials Part II Asos Giveaway!! We’ve now given you loves the opportunity to win a stellar camera, which is pretty much one of the biggest essentials to blogging if not the biggest, so now we decided you all needed a chance to win money for some styling new drags to take pictures OF with that stellar camera. Now, we all know that new clothes isn’t a necessity when it comes to being a style blogger, but it certainly doesn’t hurt. 😉 Remember to complete as many (or all) of the entries as possible to increase your chances of winning! Good luck!